"We are out to wage war on the world"
As warned for on March 29th 2015, Boko Haram changed its strategy drastically in March 2015, because a multinational force drawn from Benin, Cameroon, Chad and Niger planned to attack it. Its leadership (Abubakar Shekau) knew that fighting for territory at that time would mean being squashed by the military and the end of Boko Haram. Instead Boko Haram chose for asymmetrical attacks and no more conquering of territory, starting with suicide bombing campaign with targets across the country and its neighbors! A new leader, Abu Musab al-Barnawi, was named to replace Shekau? Since 2009 there were many attempts to undermine (the leadership of Shekau's) Boko Haram, indiscriminately echoed by analysts and media. This time, for merely another attempt, its just a bit better substantiated. Sadly enough except for words, media releases and allegedly a son of Mohammed Yusuf, in the realm of terrorism only results count and in that department there are none (yet) that speak for the photogenic al-Barnawi. Shekau says he never received answers to his messages ! Nigerian terror groups like Ansaru tried to Piggyback off Boko Haram but didn't succeed. But no longer keeping territory in North East of Nigeria now opens serious possibilities for locals to piggyback off of Boko Haram in order to gain attention and new members. One basic difference is that Shekau's Boko Haram is foreign funded and al Barnawi's is financed locally, therefore an accessible instrument for Nigerian power brokers and military intelligence. With unbeatable terror campaigns under his belt, Abubakar Shekau doesn't have to point out the obvious. But remarkably enough and not only in veiled terms, he does point towards reasons why Abu Musab al-Barnawi can never be the new commander for the West African Province for ISIS. Until tangible successes, 'al-Barnawi's Boko Haram' is not yet a real force to reckon with and even though attractive, its a strategic mistake to focus CT efforts on it. Boko Haram must be considered the most advanced, well prepared, disciplined and solid financed terror organisation in 50 years. Very effective! Still in its last part of GSI Phase II, which was marked by ten thousands of victims, refugee streams and the kidnapping of the schoolgirls from Chibok, Boko Haram is now entering Phase III of the GSI Doctrine. After a vicious terror campaign of 7 years its clear the battle has just begun and the scope is widening. While local African armies of west and central African countries will struggle with fresh guerrilla (bombing) campaigns, Boko Haram plans to shock the world again in the coming weeks and months with national and international superlative acts of terror. 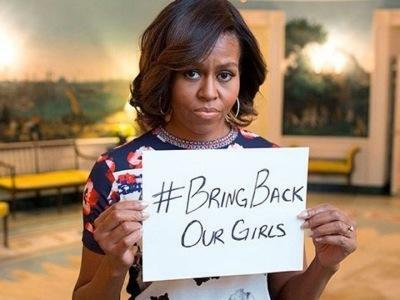 What can shock the world more then the kidnapping of hundreds of schoolgirls? Local targets with an international effect. Abubakar Shekau, the leader of Boko Haram, threatened Nigeria's President Buhari with an attack on the Presidential palace and replace the Nigerian flag with its own. “very soon"
Yet, similar to the 2011 bombing of the UN building in Abuja; USAID, the EU delegation representative office, The National Assembly and the Maitama district in Abuja are still on its Phase II list with strategic targets that have a striking international effect. Intelligence agencies have identified the lifeline of financial strength of Boko Haram, connections between Boko Haram and individuals in Europe, which creates a nightmare scenario of Boko Haram conducting terror attacks not only in Africa but also on mainland Europe. Since 2009 an international "movement" was developed in cooperation with Al Qaeda controlled ex-pats in Europe. Reinforced with veterans of the Jihad and Nigerians that were or still are fighting in the Middle East and North Africa. This movement and finance of terrorism is the key to the terror groups in Africa. Traditional funding mechanics of terror groups are no longer effective due to the advanced monitoring possibilities of the intelligence services (NSA, Echelon) and widely infiltrated Mosques. Besides, most crimes that are thought to finance terrorism are a global priority for Law Enforcement and eventually need fraud to disguise the ultimate end-beneficiaries. AML investigations and intelligence operations revealed that next to some significant funding from persons in the middle east (e.g. Qatar) the main funding has a large scope and comes from supporters of Boko Haram who are organizing crimes with a Low Probability of Detection, 419 Advance Fee Frauds (e.g. non delivery, love/romance, treasury and Hajj scams). An effective way of raising and laundering money to places where needed while staying under the radar of government agencies. 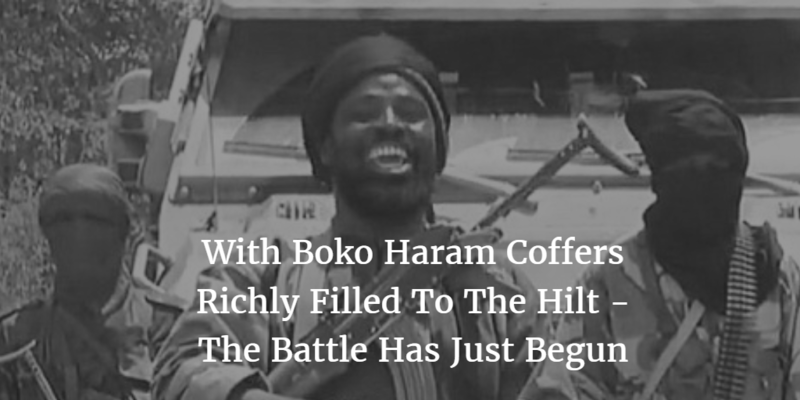 Boko Haram coffers filled to the hilt. Starting March 2015 Boko Haram did no longer invest resources in keeping territory, its coffers are now richly filled and in recent months partially used to reinforce itself to expedite its vision and mission. Phase III of the GSI Doctrine. 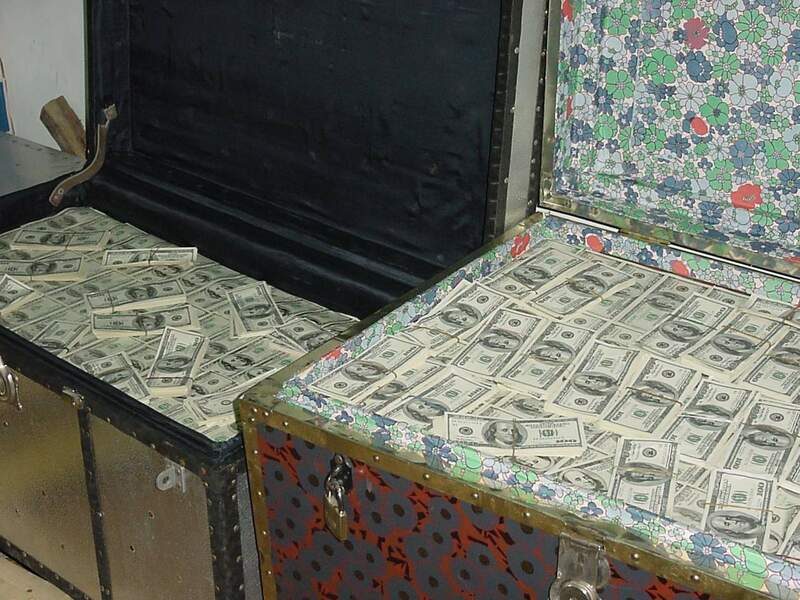 Shekau's Boko Haram is financially filthy rich because. among other things, they changed strategy, and no longer wish to keep land. And morally rich because they are expanding regionally AND agreed on strategic cooperation with groups in CAR, Somalia and Congo in order to attack the magnificent 5 countries! ISIS Imminent Terror Alert - updates ! Boko Haram, Biggest Issue for Africa Since Colonialism: The broader Notion !